The upper respiratory tract equine infection called strangles has been known to horsemen for at least eight centuries. The cause of the infection is a bacterium known as Streptococcus equi. A mild case of strangles can have your horse under the weather and unable to perform everyday activities for several weeks. A severe case can result in serious complications that can kill your horse. In this article, we discuss Purpura hemorrhagica (PH) one of the most severe complications of strangles in horses. Read on to learn more. 1 Is Purpura Hemorrhagica Contagious? 2 Purpura Hemorrhagica Is Rare! 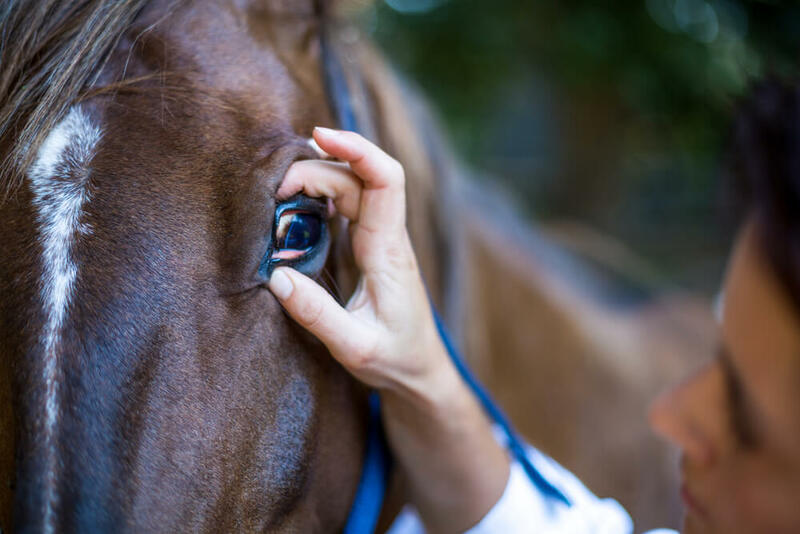 3 How Is Purpura Hemorrhagica In Horses Diagnosed? 4 What Symptoms Should You Look For? 5 How Do You Treat Purpura Hemorrhagica? 6 How Can You Prevent Purpura Hemorrhagica? 7 Do Most Horses Recover From Purpura Hemorrhagica? Strangles is a highly infectious condition that causes fever, runny nose and/or eyes, and swelling of the lymph nodes in the jaw or throat areas so severe as to cause difficulties in swallowing and breathing. Purpura hemorrhagica is a secondary condition that can develop as the bacteria moves to other body systems. While strangles is highly contagious, Purpura hemorrhagica is not, and affected horses cannot infect healthy horses. Purpura hemorrhagica is a condition involving hemorrhage and edema caused by an allergic type of reaction. This reaction may cause dark, bruised spots to appear on the gums. The legs may swell up and laminitis may develop. Joints may also become infected and swollen. Infected swellings may appear at any place on the body, and these swellings may rupture. In very severe cases, muscle damage may occur and internal organs may fail. Even though PH is most commonly seen following (or during) a bout with strangles, it can also appear after an infection with any sort of strep bacteria or after a viral infection such as influenza. Once in a while, a very sensitive horse may develop PH following vaccination. No matter what causes the allergic response, the result is excessive production of antibodies intended to combat a pathogen. The antibodies are deposited on the walls of blood vessels and launch a powerful immune response. This causes white blood cells to accumulate and send out enzymes that cause damage to the blood vessels. The damaged blood vessels leak fluid into the surrounding tissues causing hemorrhage and swelling. This can cause your horse a great deal of discomfort and may result in lameness. It’s important to get veterinary assistance as soon as you notice these symptoms because delay could result in kidney failure, bowel hemorrhage and even death. All this may sound very terrifying, but you can take solace in the fact that few horses who have been exposed to viral or bacterial infections also develop PH. Horses who are at highest risk are those who have had strangles or have been exposed to the disease and developed strong antibodies against it. To determine your horse’s risk level, ask your vet to do bloodwork to measure antibodies against S. equi M-protein. This is the factor that causes PH to develop in conjunction with strangles. 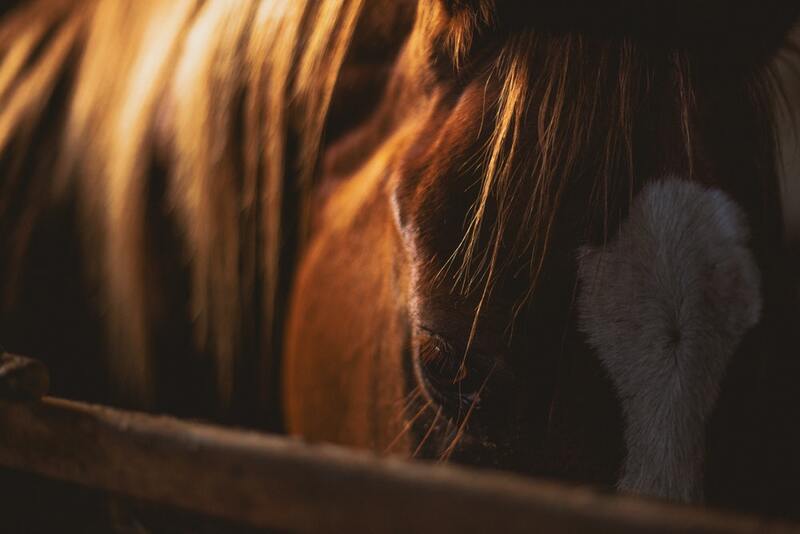 A horse who has had strangles and now has a high level of M-protein titers is more likely to develop PH if the strangles vaccine is administered while the antibodies are still at high levels. How Is Purpura Hemorrhagica In Horses Diagnosed? Has your horse been exposed to a bacterial or viral infection (e.g. strangles)? What are the presenting clinical signs? What are the result of the physical exam and testing? It is possible for a horse who has strong immune response to a bacteria or virus to develop PH without ever seeming to have had a respiratory infection. Remember that PH is caused by an allergic reaction to antibody protection, so the horse’s immune system could fight off the initial pathogen and then go on to attack the horse’s vascular system. How Do You Treat Purpura Hemorrhagica? Your vet will start your horse an aggressive course of corticosteroids and anti-inflammatory therapy. If your horse is also exhibiting symptoms of a respiratory infection, your vet will also prescribe antibiotics. While all types of antibiotics are helpful, intramuscular penicillin is the most affordable and effective choice. Other, more costly oral antibiotics (e.g. Bactrim, Uniprim and Tribrissen) have not shown any greater efficacy against equine respiratory tract infections. Drug therapy typically lasts two-to-four weeks. Your vet may also provide your horse with intravenous fluids and gastroprotectants to avoid complications caused by long term antibiotic use. If abscesses are present, your vet may drain them. Your vet may recommend non-steroidal anti-inflammatory drugs (NSAIDS) to help reduce swelling and discomfort. Take your horse for walks to help prevent stiffness and soreness. Apply bandaging and support wraps to reduce swelling in the legs. Reduce fever and inflammation with cold water hosing. Work closely with your vet to determine exactly what steps will be most helpful and effective for your horse. How Can You Prevent Purpura Hemorrhagica? Keep your horse healthy. If your horse is exposed to strange horses who might be infected with strangles or other bacterial or viral infections, his or her chance of developing these diseases and subsequently suffering from PH are greatly increased. If your horse does become ill, work closely with your vet and keep an eagle-eye out for any signs of PH. 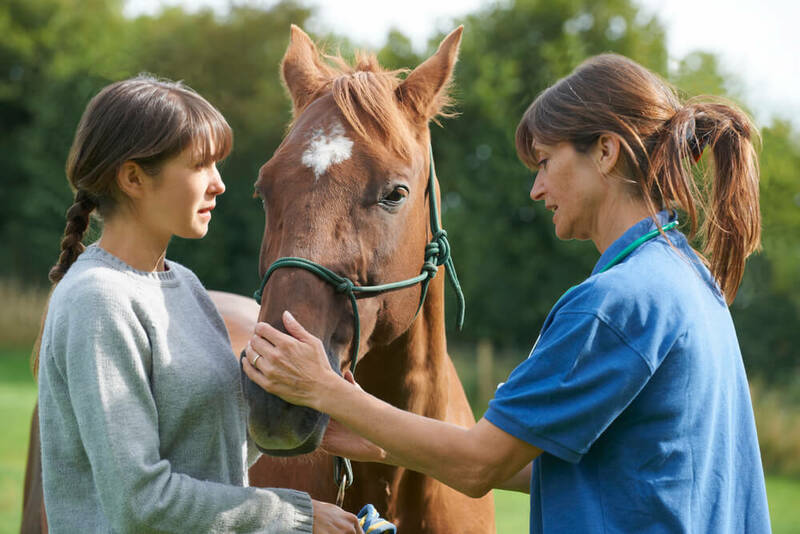 Have your vet perform sample testing on all horses on your property to identify those who may be carriers of strangles or other infectious diseases. Don’t take your horse to areas where strangles or any other illness has recently been reported. Follow regular and rigorous stable cleaning practices to keep bacteria and viruses at bay. Prevent the introduction of bacteria and viruses by keeping all equipment and tack clean. Keep new horses quarantined from others for at least two weeks after arrival. In addition to these measures, follow common sense practices for avoiding the spread of illness. Keep your riding and horse care clothing clean. Shower and change your clothes before handling your horses if you have just returned from a horse show, rodeo, auction or other setting where you may have come in contact with horses who may have or carry strangles or other infections. Wash your hands frequently, just as you would to avoid spreading the common cold amongst humans. Do Most Horses Recover From Purpura Hemorrhagica? Whether or not your horse recovers depends a great deal on how quickly you get veterinary assistance. If you act quickly while your horse’s symptoms are still mild, recovery is practically assured. If treatment is delayed, and the horse’s legs are allowed to become very swollen, recovery will be prolonged and is not at all assured. Long, difficult recovery can lead to permanent musculoskeletal damage. In very severe cases that have been allowed to progress, euthanasia may be necessary. Clearly, quick and aggressive treatment are key to recovery from PH.